Simple glass jars are always handy, but they can also be turned into so many beautiful things! 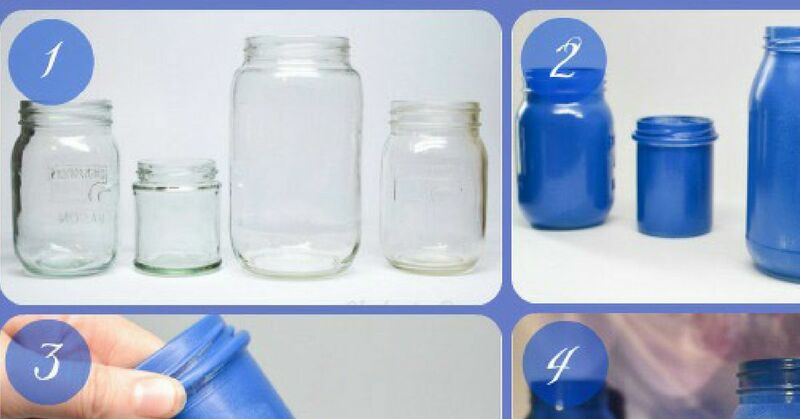 Mason jars are the classic choice, but there's no reason you can't make beautiful DIYs out of any other glass jar that finds its way into your home. No matter whether your favorite holiday is Christmas, Thanksgiving, or Easter, these gorgeous jar DIYs are certain to put you in the mood to celebrate! 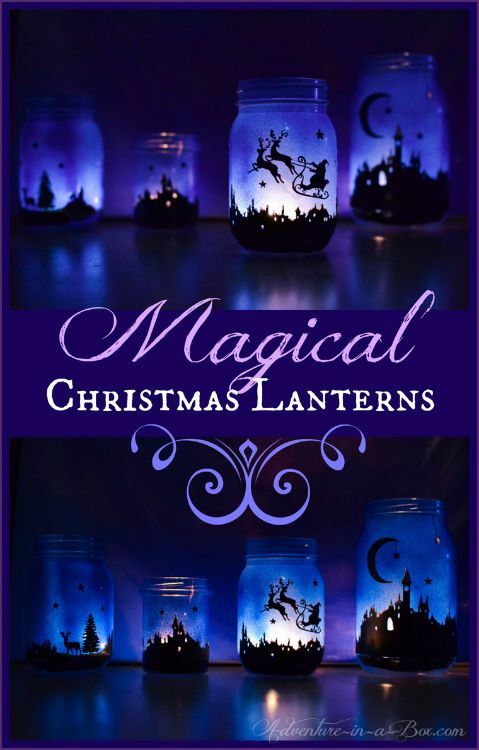 These magical-looking luminaries would be the perfect addition to any windowsill! They're so cozy and inviting that it's hard to believe they were made from jars. If you have a long, empty space that's in need of some decoration, why not fill it with these adorable painted jars? This would be a great way to display a 'Merry Christmas' decoration as well! Snow globes are so much fun, no matter what your age! These ones are shockingly simple to make, so you could make a whole 'forest' for your windowsill or table. I also think they'd make great Christmas gifts, don't you? 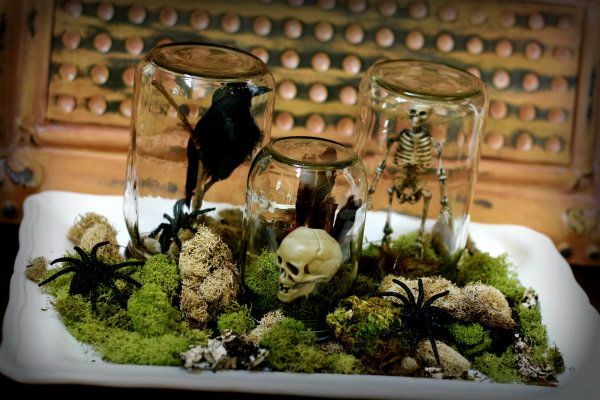 I always love terrariums, but this spooky Halloween terrarium is really something else! Best of all, it's easy to put together and even easier to disassemble once the holiday is over so that you can replace it with something less creepy. 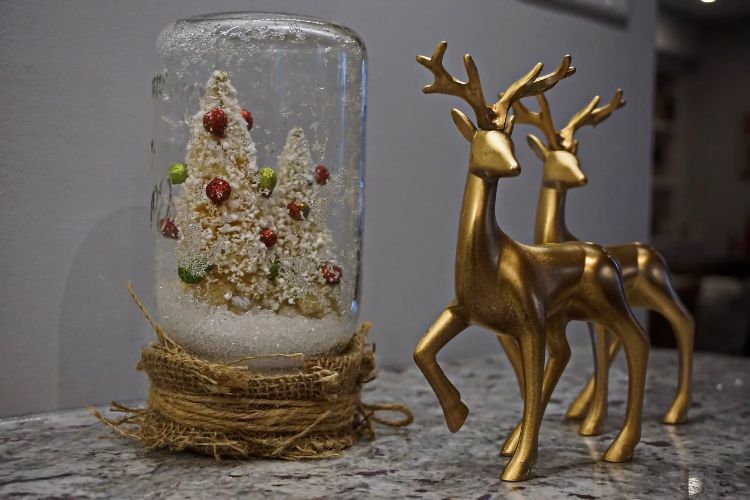 These candle holders look just like tiny, snow-dusted Christmas villages in a jar! If you love candles as much as I do, these are practically a Christmas necessity. 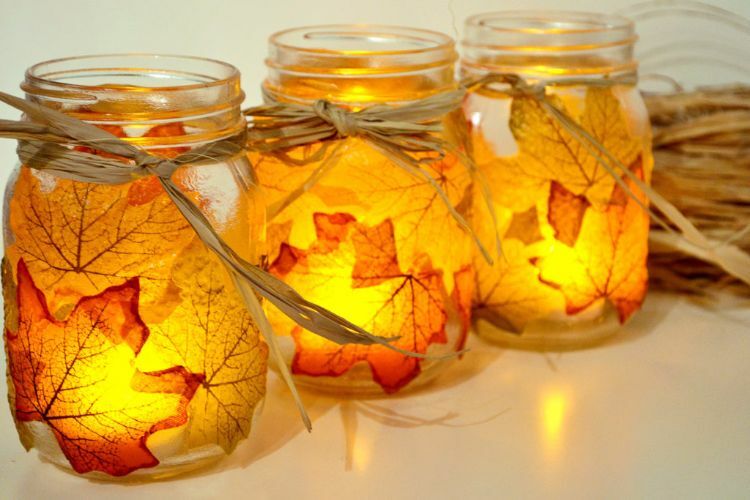 There's always something special about fall, and these leaf-covered luminaries would be the perfect Thanksgiving centerpiece. Make them with leftover pasta sauce jars and leaves you find on the ground, and they won't cost a cent! These mummy votives would be so fun to make with kids, and they're way too cute to be scary! Get creative by using different sizes of jars and googly eyes, or find different colors of flameless candles to make a colorful mummy collection. 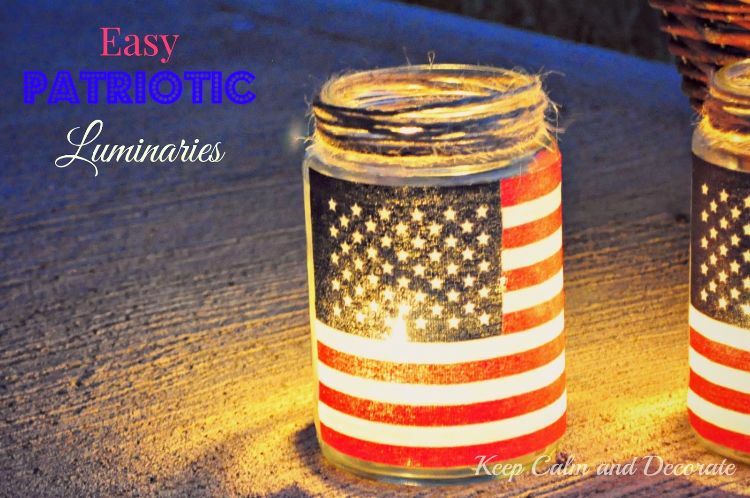 If you find yourself hosting a Fourth of July party every year, these easy-to-make luminaries are the perfect way to welcome guests into your home! They were made with nothing but pickle jars and a pack of flags from the dollar store, so you could probably afford to make a bunch of them. 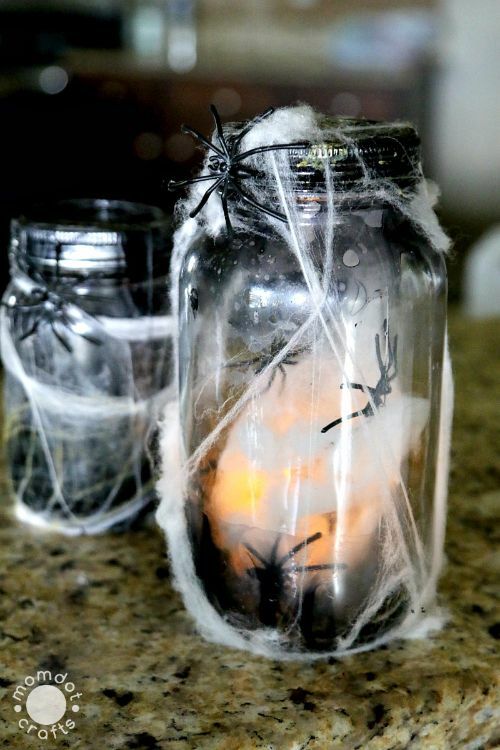 Most of us are scared of spiders, so this cobweb-covered jar decoration truly is spooky! There are so many places you could put this jar... how about using it as a bathroom nightlight? Fresh flowers don't always make the best Christmas decorations, but this wonderfully wintery branch arrangement would make a great substitute! Of course, you should feel free to personalize it with pine cones, fir leaves, or perhaps even a sprig of red berries. 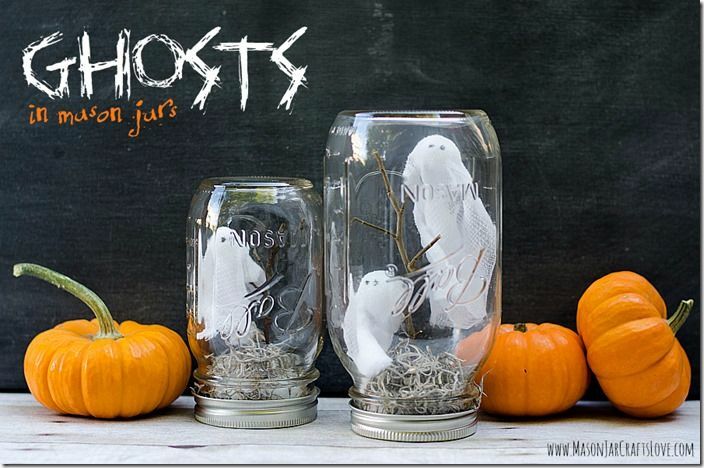 I'm not sure if these should be called 'Halloween snow globes' or 'ghost terrariums', but I do know that they're going to be part of my Halloween decor this year! The little ghosts are just too cute. 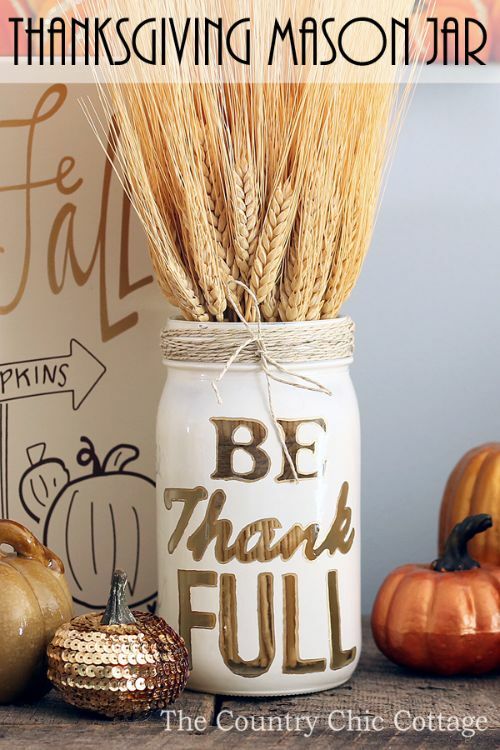 Thanksgiving is the time of year to count your blessings, and one thing I'm thankful for is this awesome mason jar centerpiece! It's sure to fill your home with holiday cheer; it doesn't matter if you fill it with wheat, autumn leaves, or nothing at all. 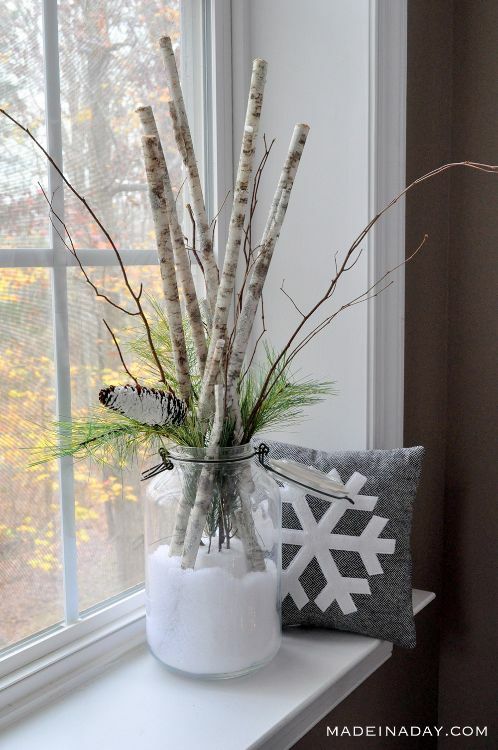 Did these ideas put you in a festive holiday mood? Spread some holiday spirit around by sharing this article with your friends on Facebook!